In 1526, when the mere possession of Luther's works was a punishable offence in Dresden, young Duchess Elisabeth professes her support of the Reformation ever more openly, thereby making bitter enemies for herself at the court of her staunchly Catholic father-in-law George, Duke of Saxony. 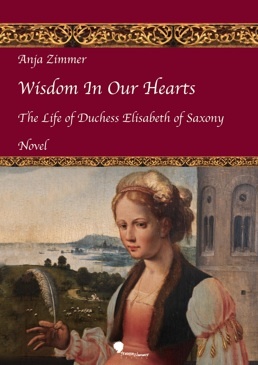 In innumerable letters, Elisabeth tries to keep the peace between her father-in-law and her Protestant brother, Landgrave Philip of Hesse. This is construed as espionage and costs her Duke George's favour. This novel is a plea for religious tolerance, which is as important today as it has ever been. The author describes the eventful life of a woman who lived on a razor-edge in a time full of contradictions and dangers, without losing sight of the larger context of European history.